Since blood evidence associated with a crime can provide information that may solve the case, it is essential to correctly document, collect, and preserve this type of evidence. Improperly handled blood evidence can weaken or destroy a potential source of facts in a case. Properly collected and preserved blood evidence can establish a strong link between an individual and a criminal act. Blood evidence or the lack of blood evidence can also be used to bolster or contradict a witness statement or any statements that the suspect may make. Blood evidence can also point the investigator in the direction he or she needs to go to solve the case. If blood evidence is documented, collected, and stored suitably, it can be presented to a judge or jury several years from the time of the criminal act. Perhaps the most powerful application of blood evidence is the ability to absolutely eliminate a person as a potential suspect in a crime. Communication is the key to effectively processing blood evidence. Clear and open communication must exist between a crime scene's first responding officer, the case detective, the crime scene investigator, the forensic scientist analyzing the evidence, and the assistant district attorney handling the case. Of prime importance is the communication between the crime scene investigator and the forensic scientist. A crime scene investigator should know the crime lab's capabilities, the methods of blood collection and preservation preferred by the crime lab, the investigative information relevant to the forensic scientist, and the type of reference samples required by the crime lab. This information may change periodically as technology changes, lab policies change, lab personnel change, or lab administrations change. 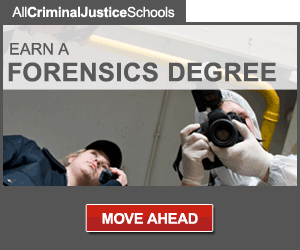 The preferences of forensic scientists also vary from lab to lab. A good method of blood evidence collection for one forensic scientist may not be a good method for another forensic scientist. The crime scene investigator should meet regularly with his or her crime lab's forensic scientists to determine the most suitable manner for collecting and preserving blood evidence. This ensures that the evidence is collected efficiently and effectively. The technological state of blood evidence analysis has rapidly advanced in the last 20 years. ln the early seventies, most crime labs relied upon the ABO blood grouping system to characterize bloodstains. This meant that the blood could have come from 4 to 49% of the population. In the 1990's, most crime labs are relying on DNA analysis to characterize bloodstains. A blood source can now be statistically narrowed down to one person out of several million or even several billion. (1) A crime scene investigator should know which method or methods of bloodstain analysis are available from his or her crime lab, the FBI lab, and private labs. Analysis of the proteins, enzymes, and antigens present in the blood. These substances are more susceptible to degradation than DNA and this type of testing usually requires a "large" sample (quarter size) in good condition for optimal results. This type of testing is rarely statistically individualizing. Direct analysis of certain DNA sequences present in the white blood cells. DNA is much less susceptible to degradation than proteins, enzymes, and antigens. RFLP DNA testing is commonly statistically individualizing (one out of several million or several billion) and it has withstood rigorous court challenges on its validity. This method also usually requires a "large" sample size to obtain significant results. Presently, the courts do not recognize blood evidence as evidence that can be absolutely linked to an individual, such as fingerprints, bitemarks, broken fingernails, and handwriting. If DNA analysis is utilized, then blood evidence falls into the category of evidence that can be linked to an individual with a high degree of probability. Originally, RFLP DNA analysis was given the misnomer "DNA fingerprinting." The courts have since ruled that a DNA result can only be given in statistical terms. A forensic scientist cannot testify that a bloodstain came from a specific individual. He or she can testify that based on population studies, only one person in several million or billion has a particular DNA profile. He or she can then testify if the suspect or a victim has that DNA profile. Finding blood with the victim's genetic markers (ABO blood type, DNA profile, etc.) on the suspect, on something in the suspect's possession, or something associated with the suspect (such as the suspect's fingerprints). Finding blood with the suspect's genetic markers on the victim, on something in the victim s possession, or something associated with the victim. Investigative information determined from blood spatter and/or blood location. Generally, blood evidence is usually more informative in cases where a suspect and victim are in contact or close proximity. For example, if a suspect stabs or beats a victim, there could be an exchange of blood between the victim and the suspect. If a suspect shoots a victim from across a room. It is less likely that an exchange of blood will occur. Occasionally, investigators blindly collect blood samples from a scene without any thought about the facts they are trying to establish. An example is a crime scene consisting of the body of a shooting victim found alone in his residence. Some investigators will collect several blood samples from around the body. This is unnecessary since it will only establish that the victim bled at the scene of the crime. This fact is already proven by the presence of the body; however, one sample of pooled blood next to the body can be collected to confirm the results obtained from the victim's reference blood sample. The crime scene investigator must make an effort to collect the evidence that is going to provide the most useful information in establishing the facts about a crime scene. The investigator must balance this with the philosophy of too much evidence collected is better than not enough evidence collected. The investigator should concentrate on collecting representative samples of the "peripheral" bloodstains, such as the bloodstains that are away from the body and the main area of action, or blood spatter patterns that differ from the majority of the blood spatter patterns. These bloodstains may provide useful investigative information. The investigator should also search for blood trails leading away from the scene. These trails could have originated from a wounded suspect. If a suspect is established in a case, then he or she should be examined for wounds. The suspect's wounds should be documented and photographed. This is additional useful evidence if blood with the suspect's genetic markers is found in an incriminating location. Because blood analysis is a comparison analysis (comparison of the victim's blood and the suspect's blood to blood found at the crime scene), reference blood samples are needed from the victim and suspect. A comparison must be made between the genetic markers in the victim s blood and the suspect's blood. The blood samples from the crime scene can then be analyzed for those genetic markers that are different in the suspect and victim. This is especially true in conventional serology analysis. Requests are made occasionally to do an ABO blood type determination of blood on a suspect's clothes to a known blood sample from a victim. This type of analysis is useless without a known blood sample from the suspect. If both parties have the same ABO blood type, then part of the sample has been wasted and no real information of value is produced. If reference samples of blood from both parties are provided, then it can be determined if they have the same ABO blood type. If they do, then further analysis of the reference blood samples may show that the two parties have different PGM types. The unknown stain could then be analyzed for the genetic marker PGM. This analysis may then show the possible origin of the stain. Useful for conventional serological testing and DNA testing (author's personal preference). Useful for conventional serological tests; less useful for DNA testing; can be used for pregnancy and HIV testing (4) (if a yellow top is not available, then the author prefers receiving red top and purple top Vacutainers from a subject). Useful for toxicological testing; not suitable for conventional serological analysis (5) and may not be suitable for DNA analysis. If the investigator is collecting blood from an autopsy, then one of each type of Vacutainer should be collected from the victim. This will insure that any necessary forensic testing can be performed. These Vacutainers should be stored in a refrigerator (not frozen) at about four degrees Centigrade until they are transported to the crime lab. One of the empirical tests for determining if a stain is blood is its appearance. If it is a bloodstain, then it should look like blood. A bloodstain also has to be present in sufficient quantity to perform confirmatory testing and testing for genetic markers. This requires that the bloodstain is visible to the naked eye. The luminol reaction is at best a presumptive test for blood. If the stain is so dilute that it can only be visualized with luminol, then no further analysis can be performed to confirm the presence of blood. Because luminol is water based, it could cause, latent, possibly bloody impressions to smear. Luminol could also further dilute an already diluted stain. This may push the stain beyond the genetic marker analysis detection limits. Unfortunately, some crime scene investigators use luminol as their first choice for detecting blood. By using luminol in such a reckless manner, it is possible to lose valuable information from a bloodstain. When searching for blood at a crime scene, especially blood that may have been cleaned up, the investigator should first use a high intensity light to search for any traces of blood. Bloodstains are not easy to eradicate. Diluted blood will often leave a brownish stain where a person has tried to clean it. Blood also has a tendency to flow into floorboard cracks, into carpet padding, behind baseboards, etc. By conducting a thorough examination with a high intensity light source, the investigator can usually find these areas. These items can then be removed or collected and submitted to the crime lab for confirmatory testing. Because luminol is so sensitive to dilute bloodstains, it is occasionally used to enhance bloody impressions (shoeprints, fingerprints, etc.). Luminol is not the best reagent for enhancing these impressions because of its water base. Better methods for enhancing bloody impressions use either rapidly evaporating organic solvents (such as merbromin and ortho-tolidine) or they use a water based chemical after treating the impression with a fixative (such as the amido black staining technique). Once the investigator realizes the potential of blood evidence as well as problem areas in documenting, collecting, and preserving this type of evidence, he or she will be more effective in finding the best bloodstains. Some commonly encountered problems are lack of communication (especially between the investigators and the forensic scientists), unfamiliarity with the types of bloodstain analysis, lack of knowledge about which stains will yield the most useful information, poor reference samples, and indiscriminately using luminol at crime scenes. If these problems are solved, then the blood collection and analysis should progress without any major problems. An investigator should take a slow and methodical approach to collecting and preserving evidence. The only time that an investigator should make rapid decisions concerning evidence is when the evidence is in danger of being destroyed or compromised. In that case, the evidence should be preserved, or documented and collected as quickly as possible. Before setting foot in the crime scene, the investigator must gather as much information as possible to determine the scope and value of any evidence that may be present. This information may include witness statements, suspect statements, victim statements, information from the first responding officer, information from the detectives, etc. Information is collected to prevent the destruction of any valuable and/or fragile evidence such as shoeprints, trace evidence, etc. The investigator should then use logic and common sense to search for evidence; however, he or she should also use imagination and avoid becoming narrow-minded. As investigators become more experienced, they know that certain patterns emerge and certain elements are common among similar cases. They also know that they have to keep an open mind when deciding what is evidence and where it will be found. This is due to the unpredictable nature of people and the forces of chaos. Once the investigator has gathered as much information as possible about the case, then he or she should form a mental or written plan to proceed with the documentation, collection, and preservation of the evidence. The investigator should also pass any relevant information to the lab analyst. This will allow the analysis to make decisions concerning the best approach to the analysis and what information can be determined from the evidence. The investigator should thoroughly document every aspect of the crime scene investigation from the initial walk through to the securing of the collected evidence. Documentation is necessary to record the condition of the crime scene and its related evidence as closely as possible to their original condition at the time of the crime. Of course, there is usually some alteration of the scene that will occur between the time of the crime and the time that the scene is documented. EMS personnel, police officers, and fire fighters may have to alter the original scene in the course of performing life saving measures. Other people entering the scene may also unknowingly or unconsciously alter the scene. ln any case, the evidence must be documented in as pristine a condition as circumstances allow. The investigator has a number of tools available for documenting evidence including notes, videotape, photographs, sketches, and chain of custody forms. The investigator may elect to use several or all of these methods of documentation. This documentation will also be used in the future to refresh the investigator's memories of the case. The first tool for documenting the crime scene investigation is note taking. An investigator should be as thorough as possible when taking notes. All of the pertinent times and actions taken should be recorded, such as who contacted the investigator and when; when did the investigator leave for the crime scene; when did the investigator arrive at the scene; what actions were taken by the investigator and when; when did the investigator leave the scene, etc. Notes should be recorded throughout the entire crime scene investigation. Examination of the crime scene will usually begin with a walk through of the area along the "trail" of the crime. The trail is that area where all apparent actions associated with the crime took place. This trail is usually marked by the presence of evidence. Point of entry, location of a body, areas where the suspect may have cleaned up, and the point of exit are all included in the trail. The purpose of the walk through is to note the location of potential evidence and to mentally outline how the scene will be processed. The walk through begins as close to the point of entry as possible. The first place the investigators should examine is the ground on which they are about to tread. If any evidence is found, then a marker should be placed at the location as a warning not to step on the item of interest. When searching for blood evidence, it is important to use a high intensity light. A high intensity light source will aid in the visualization of bloodstains, even stains that have been diluted. The light source can also be used to provide oblique (side) lighting. Oblique lighting is an excellent tool for finding trace evidence and other small items of interest. As the walk through progresses, the investigators should make sure their hands are occupied by either carrying notebooks, flashlights, pens, etc. or by keeping their hands in their pockets. This prevents the investigator from depositing unwanted fingerprints at the crime scene. As a final note on the walk through, the investigators should examine the areas above their heads (ceiling, tree branches, etc.). These areas may yield blood spatters, bullet holes, etc. Once the walk through is completed, the notes must be supplemented with other forms of documentation, such as videotape, photographs, and/or sketches. Videotape can be an excellent medium for documenting bloodstains at a crime scene. If a video camera is available, it is best used after the initial walk through. This is to record the evidence before any major alterations have occurred at the scene. Videotape provides a perspective on the crime scene layout that cannot be as easily perceived in photographs and sketches. It is a more natural viewing medium to which people can readily relate, especially in demonstrating the structure of the crime scene and how the evidence relates to those structures. The value of videotaping blood evidence is that the overall relationship of various blood spatters and patterns can be demonstrated. One example of this could be a beating homicide. In this case, videotape can show the overall blood spatter patterns and how these spatters are inter related. The videotape can also show the relationship of the spatters to the various structures at the crime scene. In cases where the suspect may have been injured (such as stabbing homicides), the video camera can be used to document any blood trails that may lead away from the scene. If videotaping indoors, the camera can show how the various areas are laid out in relation to each other and how they can be accessed. This is particularly valuable when recording peripheral bloodstains that may be found in other rooms. The high intensity light source can also be used for illuminating the bloodstains to make them more visible on the videotape. Whether a video camera is available or not, it is absolutely essential that still photographs are taken to document the crime scene and any associated blood evidence. If a video camera is available, then still photography will be the second step in recording the crime scene. If video is not available, then still photography will be the first step. Photographs can demonstrate the same type of things that the videotape does, but crime scene photographs can also be used to record close up details, record objects at any scaled size, and record objects at actual size. These measurements and recordings are more difficult to achieve with videotape. Another method of documenting blood evidence is by drawing a sketch of the crime scene. The drawback of photographs is that they are two-dimensional representations of three dimensional objects. As a result, photos can distort the spatial relationships of the photographed objects causing them to appear closer together or farther apart than they actually are. If spatial relationships of the evidence are important or if something needs to have proportional measurements included in it for calculations (such as blood spatter patterns) then a sketch must be made. Computer programs are available for sketching crime scenes and blood spatters by inputting certain measurements associated with the scene and the individual spatters. This blood spatter program will then calculate and draw the spatters' points of origin. These programs might come in handy where there are many blood spatters and the points of origin need to be determined. For more in depth information on videotaping, photographing, and sketching crime scenes, refer to the recommended reading list. The final method of evidence documentation is the chain of custody form. The chain of custody form is a written record of all evidence transfers from the crime scene to possession of the court or the clerk of court. Proper chain of custody thoroughly documents the movement of evidence, the security of the evidence, who had possession of the evidence, and when the evidence was in a person's possession. The chain of custody form must accompany the evidence all the way to its final destination. A copy should also be kept in the case folder. The following information must be recorded on the form: A description of the evidence and its container; the specific recovery location of the evidence; case numbers; the date and time it was collected; who collected it; whether or not the evidence container was sealed upon transfer to another individual; who received the evidence; the dates and times of any evidence transfers; who delivered the evidence; and the final disposition of the evidence. This is necessary to demonstrate that the evidence was not contaminated in a way to alter the information that the evidence originally contained. It also demonstrates that the original evidence was not planted or changed in some way before its presentation in court. After the evidence has been documented using videotape, photographs, sketches, and chain of custody forms, the evidence collection process can begin. Once the crime scene has been thoroughly documented and the locations of the evidence noted, then the collection process can begin. The collection process will usually start with the most fragile or most easily lost evidence. Special consideration can also be given to any evidence or objects that need to be moved. Collection can then continue along the crime scene trail or in some other logical manner. Photographs should continue to be taken if the investigator is revealing layers of evidence that were not previously documented because they were obscured. Most items of evidence will be collected in clean, unused paper containers such as packets, envelopes, and bags. Moist or wet biological evidence (blood, body fluids, plants, etc.) from a crime scene can be collected in clean, unused plastic containers at the scene and transported back to an evidence receiving area if the storage time in sealed plastic is less than two hours and this is done to prevent contamination of other evidence. Once in a secure location, wet evidence, whether packaged in plastic or paper, must be removed and allowed to completely air dry. That evidence can then be repackaged in a new, clean, unused, dry paper container. UNDER NO CIRCUMSTANCES SHOULD EVIDENCE CONTAINING MOISTURE BE SEALED IN PLASTIC OR PAPER CONTAINERS FOR MORE THAN TWO HOURS. Moisture allows the growth of microorganisms that can destroy or alter evidence. Any items that may cross contaminate each other must be packaged separately. The containers should be closed and secured to prevent the mixture of evidence during transportation. Each container should have the collecting person's initials: the date and time it was collected; a complete description of the evidence and where it was found; and the investigating agency's name and file number. Before transporting any items of evidence, the investigator should examine the items to determine if there is any loose trace evidence (hairs, fibers, paint chips, etc.) that may be lost in transportation. If there is, then this loose evidence should be collected in a paper packet and placed in an envelope. The envelope should have the required information giving a description and the source of the trace evidence. The actual item can then be processed and collected. AND/OR EYE PROTECTION AS THE SITUATION WARRANTS. If the bloodstained item is small and transportable, package it in a paper bag or envelope. Advantages: Requires a minimal amount of interaction with the bloodstains by the investigator: allows the serologist to make the decisions involved in collecting the samples; dilution and contamination potential minimized by eliminating the use of water as the collection medium. Disadvantages: More work for the serologist: bulky items require more storage space. If the bloodstained item is large or not easily transported, then the following techniques can be used for collecting the bloodstains. If possible, the investigator should also collect samples from unstained areas of the item for negative controls. Cutting out the portion(s) of item with the bloodstain(s). A negative control area should also be cut out if available. Package cuttings in separate paper envelopes. Advantages: Dilution and contamination potential minimized by eliminating the use of water as the collection medium: requires only a small amount of investigator interaction with the bloodstain: does not usually take up much storage space. Disadvantages: Investigator must decide which stains and controls to collect: some materials are harder to cut than others. Tape lifting bloodstains - Place fingerprint tape (do not touch sticky surface with bare hands) over bloodstain and surrounding negative control area. Rub non-sticky side of tape with a pencil eraser or other blunt object. This is to insure that good contact is made between the stain and the tape. Lift the bloodstain like a fingerprint and place the tape on a vinyl acetate backing (do not use a paper backing - paper makes the stain difficult to handle during analysis). The lifting process can be repeated several times on the same stain if necessary. Label the stain(s) and package in a paper envelope. Advantages: Dilution and contamination potential minimized by eliminating the use of water as the collection medium; negative control is readily collected; requires little storage space; fairly easy technique to perform. Disadvantages: Investigator must decide which stains to collect; bloodstains do not lift well on certain surfaces. Scraping bloodstains into a paper packet - Use a clean sharp instrument to scrape the bloodstain into a paper packet. The packet can be labeled and placed in a paper envelope. Do not use a plastic container in place of a paper packet because the static charge from the plastic will cause the blood flakes to disperse and stick to the sides of the container. This technique can be combined with the tape lift method by scraping the stain near the tape's sticky side. The static charge will cause the flakes to stick to the tape. The tape can then be placed on vinyl acetate. Advantages: Dilution and contamination potential minimized by eliminating the use of water as the collection medium; requires little storage space. Disadvantages: Investigator must decide which stains to collect; when scraped, bloodstains tend to break into small, very hard to handle flakes; the flakes have a tendency to be easily lost during the scraping process (except when used in combination with the tape lift); some surfaces are not easily scraped. Absorbing stains onto moistened 1/2" long threads - Use only distilled or deionized water to moisten clean, 1/2" long, number 8, white cotton threads. Do not handle the threads with bare hands. Place thread on bloodstain with a pair of clean forceps or a clean cotton swab. Roll the thread on the bloodstain, so the stain is absorbed onto the thread. Repeat until a minimum of four threads are collected. Place the threads (and swabs, if used) in a secure area and allow them to air dry. When air dried, package into a paper packet and place in an envelope. For transportation purposes and to prevent cross contamination, the threads may be placed in a plastic container for no more than two hours. Once in a secure location, the threads must be removed from the plastic and allowed to air dry. They may then be repackaged into a paper packet and placed in an envelope. Threads must also be taken from a negative control area, if available. Advantages: Stain is concentrated onto a small surface area; requires little storage space. Disadvantages: Dilution and contamination potential introduced by using water (it may be possible to reduce contamination and dilution effects by using acetone or 70% ethanol to collect bloodstains. At least one study has shown that DNA yield can be increased by using either acetone or 70% ethanol to collect bloodstains. The 70% ethanol produced a higher DNA yield. (11)); investigator must decide which stains to collect; threads can be difficult to handle. Absorbing stains onto moistened 1/2" X 1/2" cotton squares - The procedure for collection is the same as for threads, except that white, 100% cotton muslin is used instead of threads. The muslin must be boiled in distilled or deionized water and allowed to air dry prior to its use. This removes interfering factors from the muslin. Do not handle the muslin with bare hands. Advantages: Stain is concentrated onto a relatively small surface area; easier to handle than threads; requires little storage space. Disadvantages: Same as for threads, except dilution and contamination potential is increased due to using more water. If the item is small and transportable, then package it in a paper bag (or plastic bag to prevent contamination of other objects). Bring it to a secured location, take it out of the bag and allow the evidence and the bag to thoroughly air dry. Repackage in the original paper bag or, if necessary, a new paper bag. If a new paper bag is used, then the air dried original container should be packaged with the item of evidence. Advantages: Requires a minimal amount of interaction with the bloodstains by the investigator; allows the serologist to make the decisions involved in collecting the samples. Disadvantages: More work for the serologist; bulky items use more storage space. If the bloodstained item is large or not easily transported, then absorb the stain onto a 1" X 1" square of the cotton muslin as described in part 2E under dried bloodstains. Package it in paper (or plastic to prevent contamination of other objects). Bring it to a secured location, take it out of the container and allow the cotton square and the container to thoroughly air dry. Repackage in the original paper container or, if necessary, a new paper container. If a new paper container is used, then the air dried original container should be packaged with the cotton square. If possible, the investigator should also collect samples from unstained areas of the item for negative controls. Advantages: Requires little storage space; fairly easy technique to perform; stain is concentrated onto a relatively small surface area. Disadvantages: Investigator must decide which stains and controls to collect; investigator must have direct interaction with bloodstain. If the investigator has any questions, he or she should contact his or her crime lab or the author. See the testimony of Dr. Robin Cotton on 5/11/95 in the case State of California vs. Oenthal James Simpson. Comey, C.T. and Budowle, B., "Validation Studies on the Analysis of the HLA DQà Locus Using the Polymerase Chain Reaction," Journal of Forensic Sciences, Vol. 36, No. 6, Nov. 1991, pp. 1633-1648. According to the FBI's Biochemical Methods Course Manual, the polymorphic enzyme Peptidase A is inactivated by the presence of metal chelators such as EDTA. Personal communication with Forensic Pathologist Juanito Lim, MD of Earl K. Long Hospital, Baton Rouge, LA. Culliford, B.J. 1971. The Examination and Typing of Bloodstains in the Crime Laboratory. US Government Printing Office, Washington, DC. Lee, H.C. "Identification and Grouping of Bloodstains," in Forensic Science Handbook, Saferstein, R., ed., Prentice-Hall, Inc., Englewood Cliffs, NJ, 1982. FBI Forensic Serology Course Manual. Laux, D.L., Effects of Luminol on the Subsequent Analysis of Bloodstains," Journal of Forensic Sciences, Vol. 36, No. 5, Sept. 1991, pp. 1512-1520. Grispino, R.R.J., "The Effects of Luminol on the Serological Analysis of Dried Bloodstains." Crime Laboratory Digest, Vol. 17, No. 1, Jan. 1990, pp. 13-23. Scott, S. Elaine, "Bloodstain Pattern Analysis - Five Years Later," Juried Paper presented at the Southern Association of Forensic Scientists' Fall, 1987 Meeting, September 18, 1987, Atlanta, Georgia. Warren. Joseph. "Optimal Medium for the Transfer of Crime Scene Stains for DNA Analysis", Paper presented at the La. Association of Forensic Scientists' Fall, 1991 Meeting, October 26, 1991, Harahan, La. Evidence Handling Guide. La. Dept. of Public Safety and Corrections, Office of State Police, Crime Laboratory. Geberth, Vernon J. 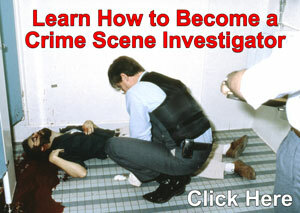 Practical Homicide Investigation. New York: Elseveir, 1983. Laber, Terry L., and Barton P. Epstein. Bloodstain Pattern Analysis. Minneapolis: Callan Publishing 1983. MacDonell, H.L. Bloodstain Pattern Interpretation. Corning: Laboratory of Forensic Science, 1983. Moreau, Dale M. Fundamental Principles and Theory of Crime Scene Photography. Quantico: Forensic Science Training Unit, FBI Academy. Schiro, George. "Collection and Preservation of Evidence". What We Do - Law Enforcement Series. Compiled by Captain Merril L. Boling, Jefferson Parish Sheriff's Office, 1995. Sketching Crime Scenes. U. S. Department of Justice, FBI.